Everything in this world has a shelf life and movie theaters are no exception to this rule. It seems like every major city in the world has its own fair share of these abandoned theaters which were once popular weekend hangouts for people of all ages and are now just ghostly memories of the past. 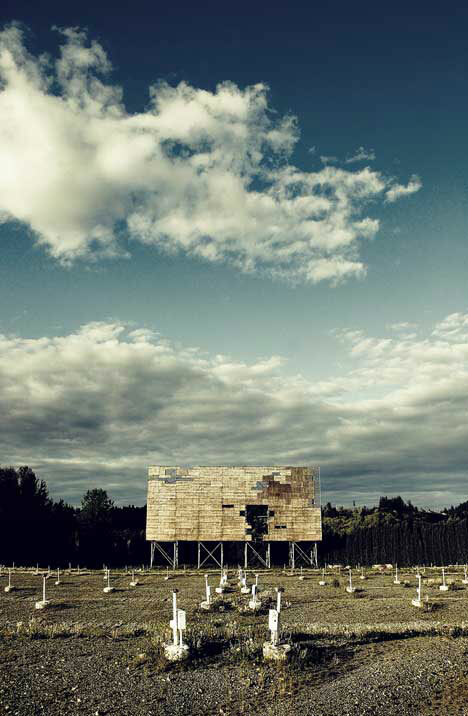 (Guest author Andrew Boyd is an expert on travel hacks – and see more at 100+ Abandoned Buildings, Places and Property. 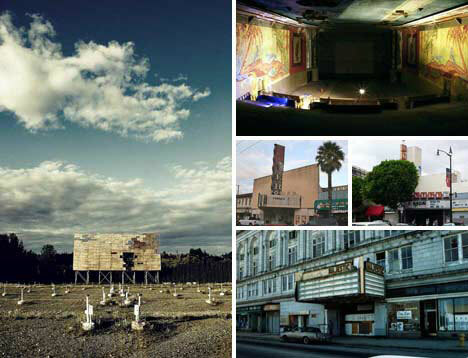 Many of these abandoned cinemas are in a sense being recycled into apartments, office buildings, and for some even haunted houses. These abandoned theaters are an important thread in the fabric of modern popular culture filled with memories and stories from the movie-goers who’ve attended these pieces of artfully-designed architecture. 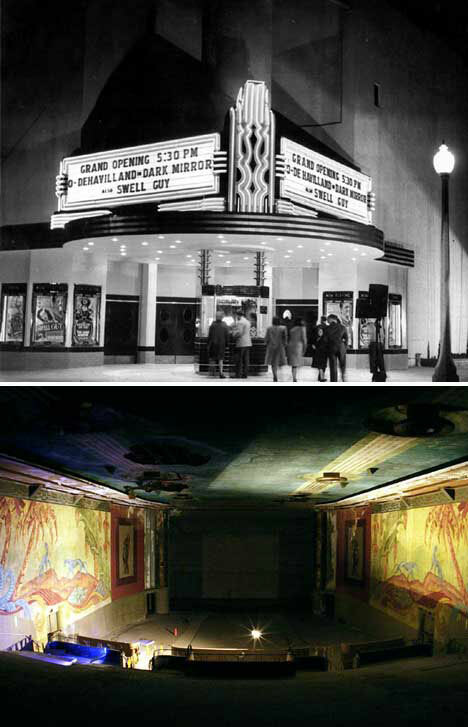 Here’s some of the coolest photos of abandoned theaters that haven’t been razed or regenerated, yet. 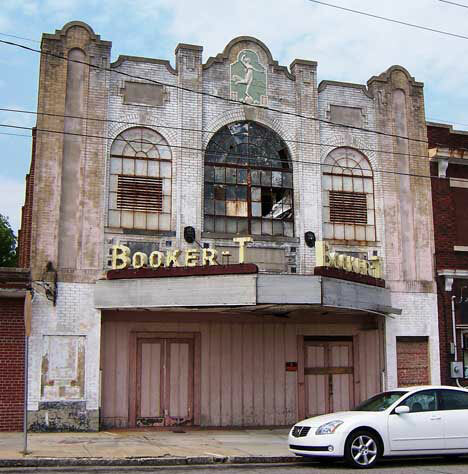 Booker T Theater [Rocky Mount, North Carolina] The Booker T Theater in Rocky Mount, North Carolina was once called the Savoy Theater in its early days. This beautiful theater remains abandoned today, but was recently purchased by the city who are planning to renovate this historical landmark of the early 20th century. Tower Theater [San Francisco, California] The once vibrant Tower Theater was, until recently, basically falling apart, but has been partially restored throughout the years. 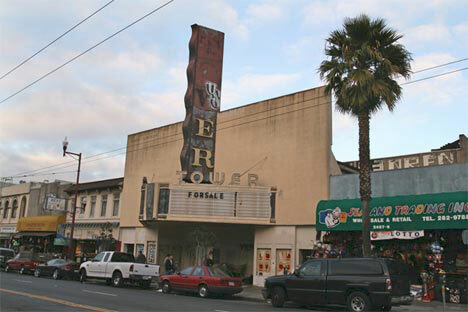 This theater was originally built in 1911 along Mission Street in San Francisco and was a big part of the city’s popular theater scene. The building was used as a church up until 2007 when it became completely abandoned and is now up for sale. 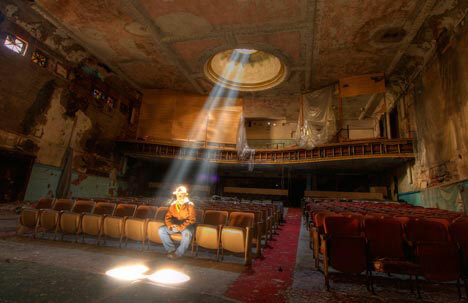 Sattler Theater [Buffalo, New York] This amazing shot of the abandoned Sattler Theater in Buffalo, New York is so surreal. Apparently, this theater, which was built back in 1915, is now subject to a renovation process that will eventually see it fully restored to its original beauty at long last. Lorenzo Theater [San Lorenzo, California] The Lorenzo Theater is an abandoned theater in Northern California that opened in 1947. This 700-seat elegantly designed theater brought out locals in their black ties and formal attire to catch a show up until its closing in 1982, and it has remained vacant ever since. 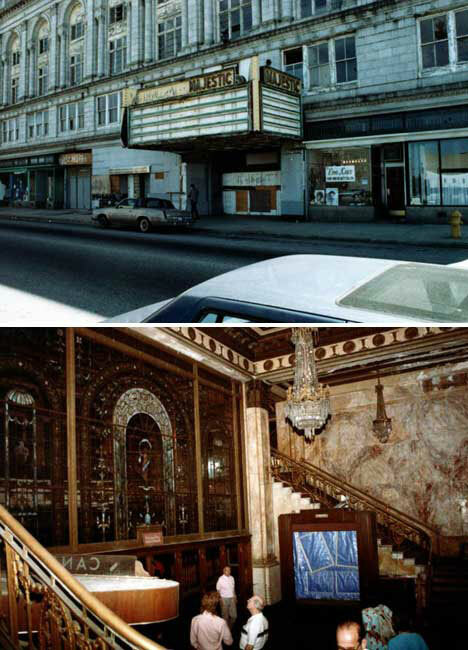 Right now, there’s a strong push to revitalize the Lorenzo by a lobby called the Save the Lorenzo Foundation. Abandoned Drive-In Theater [Washington] This abandoned drive-in movie theater is located in the state of Washington. Drive-in theaters were extremely popular during the late ’50s and early ’60s, but unfortunately, many of them now look like this one, a drive-in graveyard. Majestic Theater [Bridgeport, Connecticut] The Majestic Theater in Bridgeport, Connecticut was built by architect Thomas W. Lamb back in the 1920s. Thankfully this 2,000+ seat theater is currently in the process of being restored to its original luster. The Majestic Theater was apparently one of the sets used in a new Steven Seagal movie called “The Marker” set to release in late 2008. Village Theater [Chiacgo, Illinois] The Village Theater, formerly the Germania, was built in 1916 next door to the 1888 Germania Club. 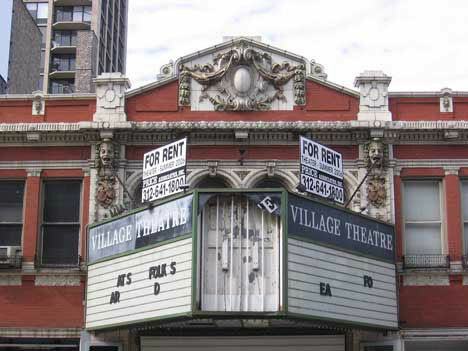 This theater closed down in 2006, and its future remains uncertain at this point. 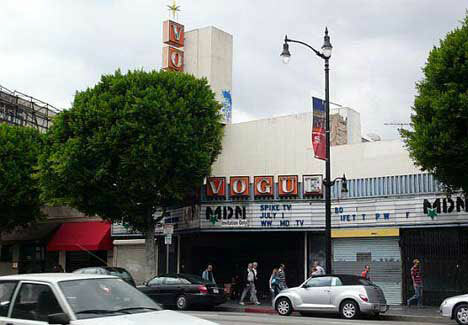 Vogue Theater [Hollywood, California] The Vogue Theater was built by architect S. Charles Lee in 1935, and later closed in 1995. This theater, located on Hollywood Blvd. in California, is said to be haunted by a former projectionist named Fritz who died during a matinee while working in the projection booth. People now claim that if you touch the equipment that he used, you’ll suddenly feel chest pains or have trouble breathing.